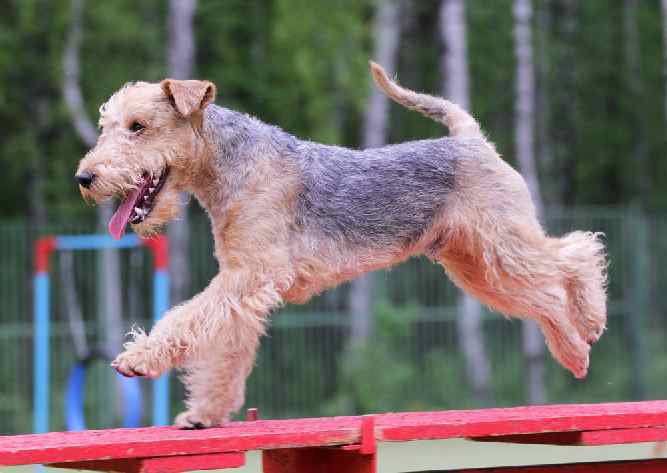 Bold and fearless are two perfect words to describe the Lakeland Terrier Temperament. This pint-sized pooch has tons of swagger packed into a 17-pound package! If you are looking for a rugged yet portable companion, look no further than the Lakeland Terrier! Lakies (as they are affectionately known) were developed to guard English farmsteads against marauding foxes. In order to do this job, they had to be incredibly brave. Modern Lakeland Terriers are plucky little dogs that will never run from a fight. Do not expect your Lakeland Terrier to roll over and show his belly during a scuffle at the dog park. These little guys are scrappy, and owners need to be prepared to manage that behavior. Lakeland Terriers have excellent eyesight and hearing. They are always on the watch and they will alert their masters to anything new in the environment. Lakeland Terriers make outstanding watchdogs. They also retain a high prey-drive. They will keep your home free from vermin such as mice and rats. Lakeland Terriers are very clever. They are highly trainable and they excel at canine sports such as agility, earthdog and rally obedience. They get bored easily, so their owners need to enrich their environment with lots of puzzles and toys. Lakies are muscular and sturdy. Even though they are small, they are rugged enough for outdoor excursions. If you are seeking a companion for hiking and camping, a Lakeland Terrier is an ideal alternative to a large breed dog. Lakeland Terriers are happy and upbeat. They love to play and explore, can coexist with gentle children and other pets, but early socialization is imperative. They are energetic and they are always game for an adventure! Lakie owners report that these dogs have a special affinity for playing in the water! The Lakeland Terrier is a very old breed. The breed gets its name from the Lake Region of Northern England. English workingmen needed a hunter that was “tough and gritty.” They required a dog that could patrol the farm all day in the adverse weather of the British Isles. 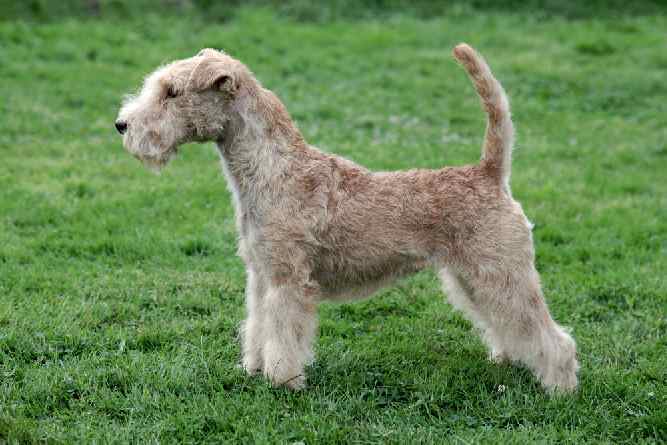 This “tough and gritty” working dog was the predecessor of the modern Lakeland Terrier dog. Lakeland Terriers are incredibly smart and they are easy to train with the proper motivation. They bore easily, so do not enjoy repetitive commands. That means you should keep training sessions short, and interesting. A bored Lakeland Terrier may develop nuisance behaviors such as barking or digging. Be sure to keep them busy with food puzzles, Kong toys, and other brain games. Lakies also respond well to positive reinforcement training. Never use rough, physical reprimands with your Lakeland Terrier. It will damage your relationship with this smart and sensitive breed. Early socialization is critical for this breed. Enroll in a puppy socialization class at the earliest opportunity. If you can't find a puppy class to enroll in then your best bet will be an online dog training resource such as Doggy Dan's. The Lakeland Terrier is a compact creature. The Lakie weighs about 17 lbs and stands roughly 15 inches tall. The Lakeland Terrier comes in a variety of coat colorations and patterns. The red Lakeland Terrier is one of the more common solid colorations. 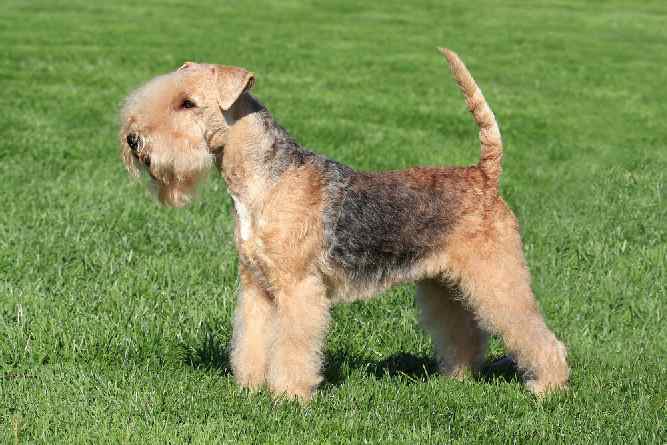 The black Lakeland Terrier is rare, but it is still recognized within the AKC breed standard. Other colorations include blue, liver and wheaten. Some Lakeland Terriers have a dark saddle marking on their back. They are rare in the United States, so they will draw considerable attention when you walk them in public places. Lakeland Terriers have a harsh, wiry double coat. Shedding is minimal, so they are a good breed for people with allergies. Their coats require hand-plucking. You will need to learn this technique or find a groomer that can provide this service. Lakeland Terriers have a lifespan of 12-16 years. They are a relatively healthy breed, with few reported genetic disorders. Currently the United States Lakeland Terrier club does not require breeders to do any mandatory testing. However, these are not abundant. Like all dogs, Lakeland Terriers must receive an annual checkup from a veterinarian and monthly heartworm prevention. Regardless of the Lakeland Terrier's healthy disposition a resource such as The Ultimate Guide to Dog Health is still invaluable and recommended. The Welsh Terrier is a close cousin of the Lakeland Terrier. The breeds are very similar in appearance. 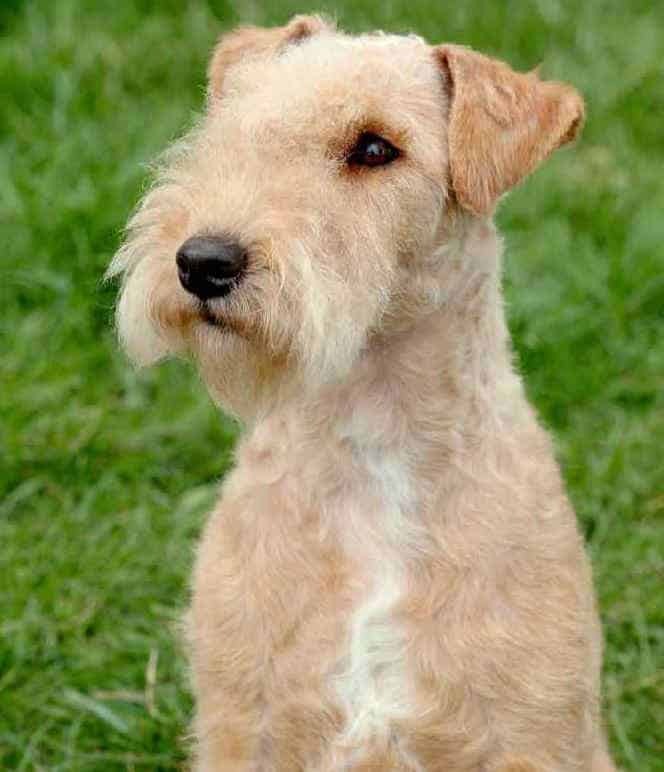 However, the Lakeland Terrier is more petite than the Welsh Terrier, which is taller and heavier than the Lakie. 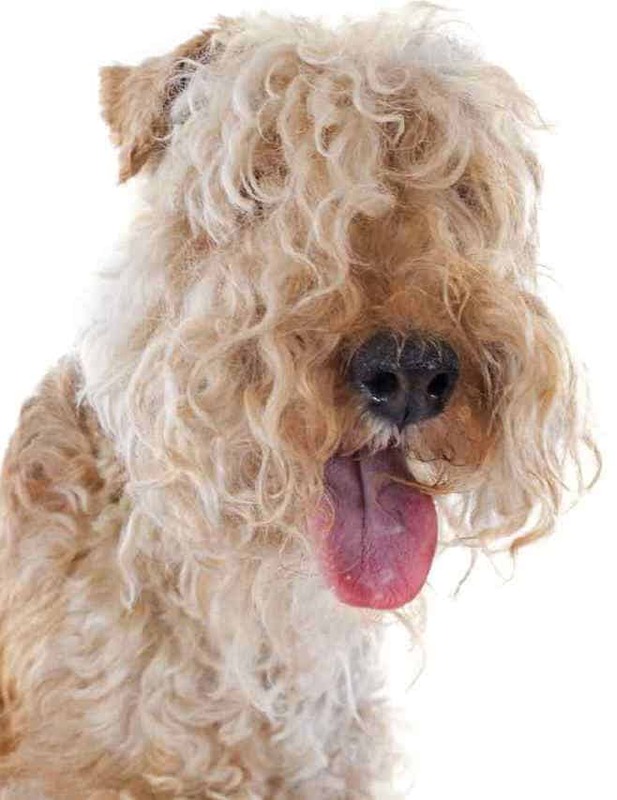 The Lakeland Terrier is also more goofy and fun-loving than the more stoic Welsh Terrier. Once you are ready to add a Lakeland Terrier to your household, it is time to explore the world of Lakeland Terrier adoption! Thankfully, this breed is not terribly common in American animal shelters. However, you never know what breeds might show up at your local shelter, so it does not hurt to visit. Let the staff know that you are looking to adopt a Lakeland Terrier or Lakeland Terrier mix. Ask to fill out an application and leave a phone number in case one comes in. Do not forget to check national adoption websites such as Petfinder.com, Adoptapet.com, and Getyourpet.com. The US Lakeland Terrier Club also runs a rescue program exclusively for abandoned Lakeland Terriers. Most Lakies end up in rescue because their owners fall upon hard times, not through any fault of their own. 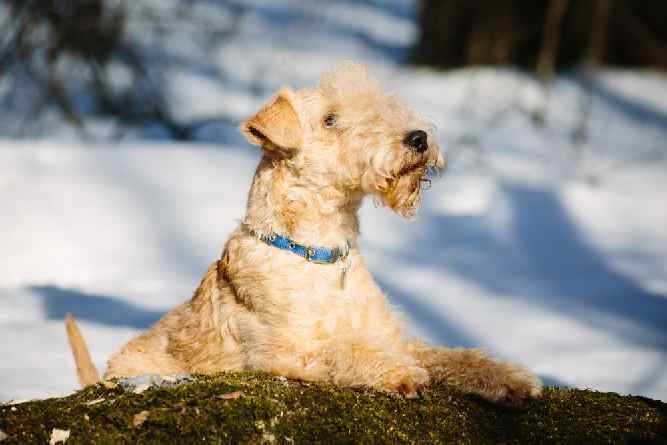 The Lakeland Terrier price will vary depending on whether you adopt through a public shelter or a private rescue group. The adoption fee will range between $75 and $200. In almost all instances, your rescue Lakeland Terrier will be vetted and neutered prior to adoption. You can also look for Lakeland Terrier puppies for sale through reputable breeders. The US Lakeland Terrier Club recommends selecting a breeder from their list of members. These Lakeland Terrier breeders adhere to a written code of ethics. Good breeders are interested in making sure that their Lakeland Terrier puppies go to good homes. They will ask you questions and they may require references. Likewise, they should welcome questions from you and they should be eager to show you their premises. Always visit the breeder in person and meet the breeding dogs. Ask questions about health and temperament. Never purchase a puppy over the internet or from a broker or pet store. You cannot be sure what kinds of conditions those puppies were living in prior to your purchase. The price of a Lakeland Terrier puppy from a reputable breeder is between $1,200 and $1,800. Conclusion: Why the Lakeland Terrier? Lakeland Terriers have many wonderful qualities. They are fearless and adventurous dogs! They make great travel companions for active owners. So much so that Lakies are even the perfect size to fit in carry-on carriers for air travel! However, their owners must be prepared to meet their needs for mental and physical exercise. 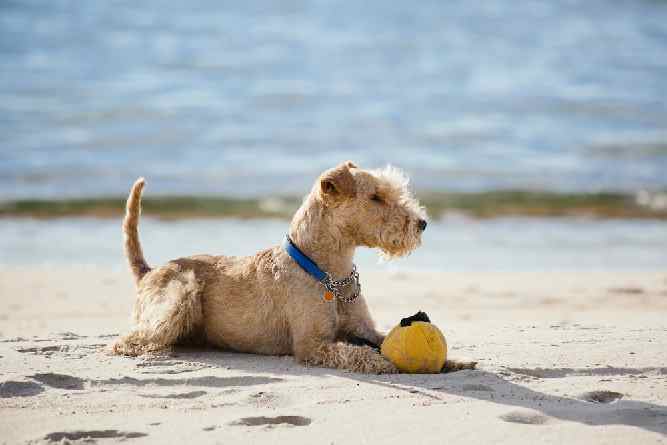 The Lakeland terrier temperament can be challenging for beginners. They are not usually advised for novice owners. If you can channel their energy and intellect into positive channels, you will be rewarded with an upbeat and courageous companion. Previous post: Is The Gordon Setter Temperament (Fearless, Alert, Confident) A Winner?